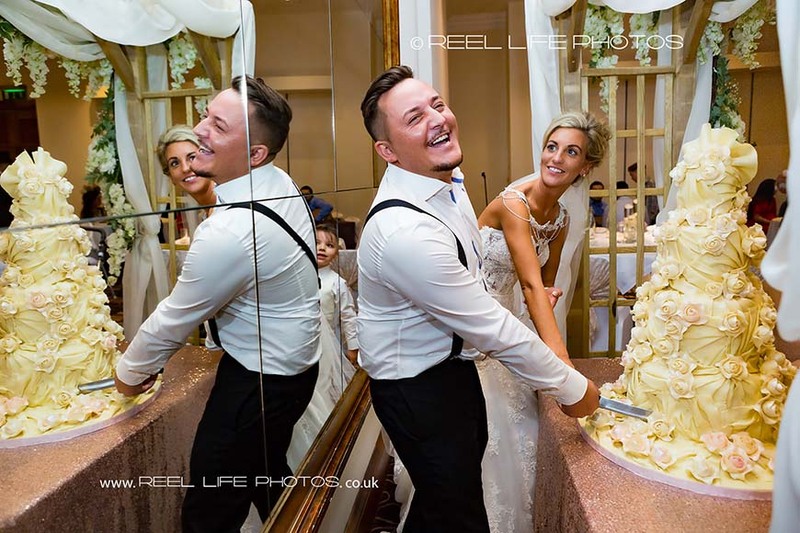 Above is a really fun, natural wedding picture, showing the cutting of the cake and the reflections in the mirror behind them at a gypsy wedding in Blackpool in winter. I prefer to capture things as they happen, as love natural wedding photography, without any posing or fake smiles. 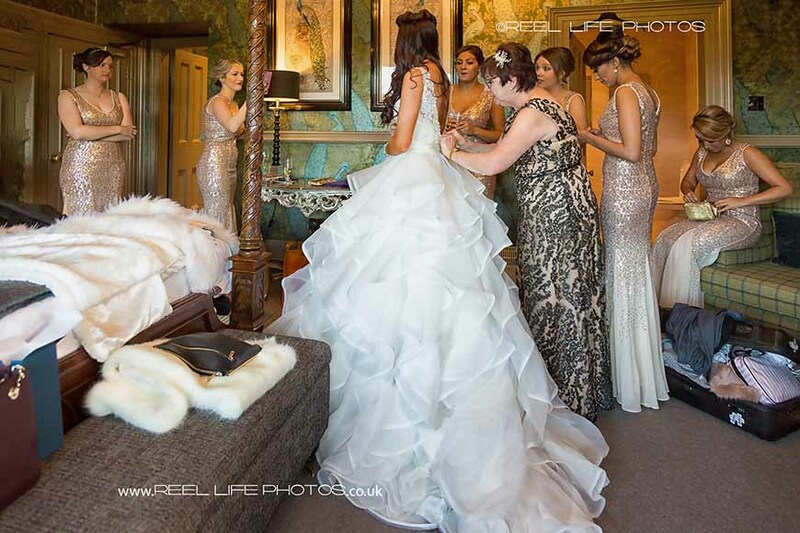 This one was at a winter wedding, in a very glamorous country mansion. I love fun weddings, and this wedding at the Black Horse Inn in Clifton, was no exception! The wedding photography slideshow above is from a sweet little summer wedding in the Peak District, (Derbyshire) around Glossop and New Mills. 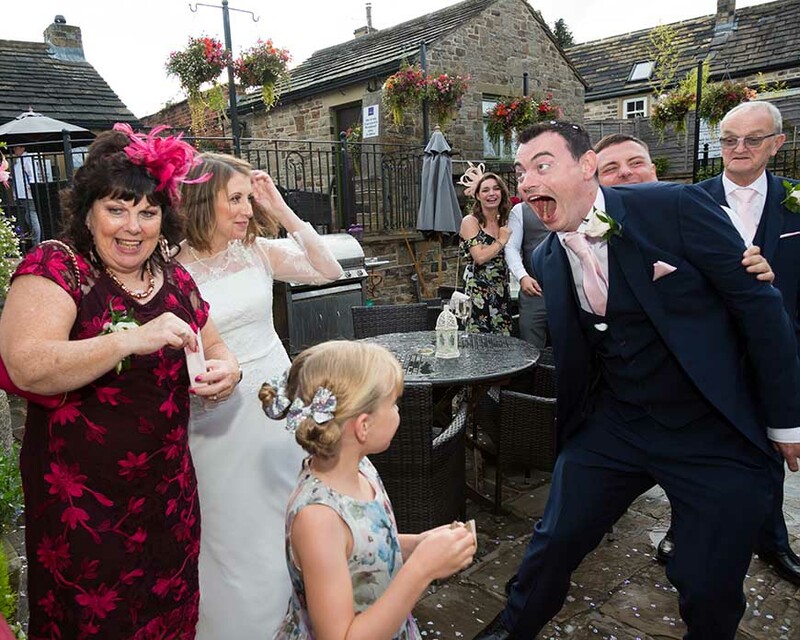 It has both family pictures and natural wedding photos that show the story of their day, starting at their home as they are getting ready, then going to the wedding ceremony, and a small family meal in the Packhorse Inn in New Mills, followed by their evening wedding reception at Glossop Cricket Club. The children all had a brilliant time too! The above video slideshow shows a fun wedding in York, with the wedding reception at The Sidings - a unique wedding venue for smaller weddings and with outside space too: great fun! The above video is a whole slideshow of photos from a Nigerian English couple's wedding inside Dewsbury Town Hall. You get to see how much fun natural wedding pictures can be for the guests, as they don't have to stop what they are doing! It was a winter wedding so the couple chose to stay inside in the warm. We love fun weddings - wherever they are! This was a church wedding in South Yorkshire, but we have been covered weddings in all 5 continents of the world over the years. 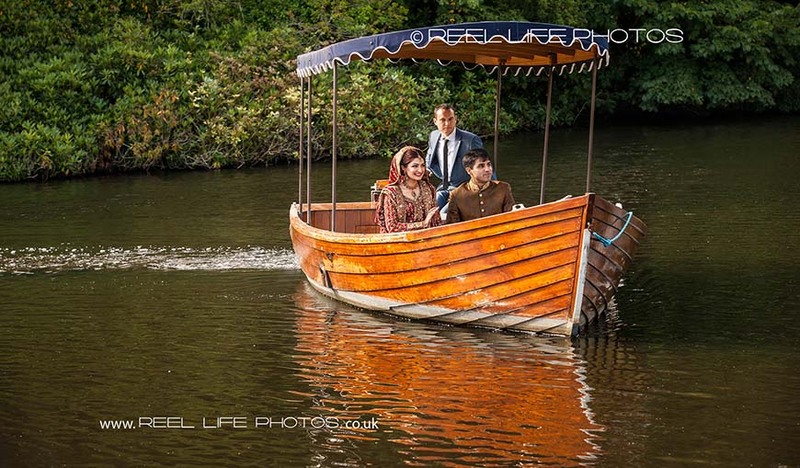 This romantic Asian bride arrives by boat to be greeted by all her family before walking into her marquee wedding reception at Thornton Manor Lakeside on the Wirral. Where Art and Emotions fuse... so for the personal touch - invite us to join you. 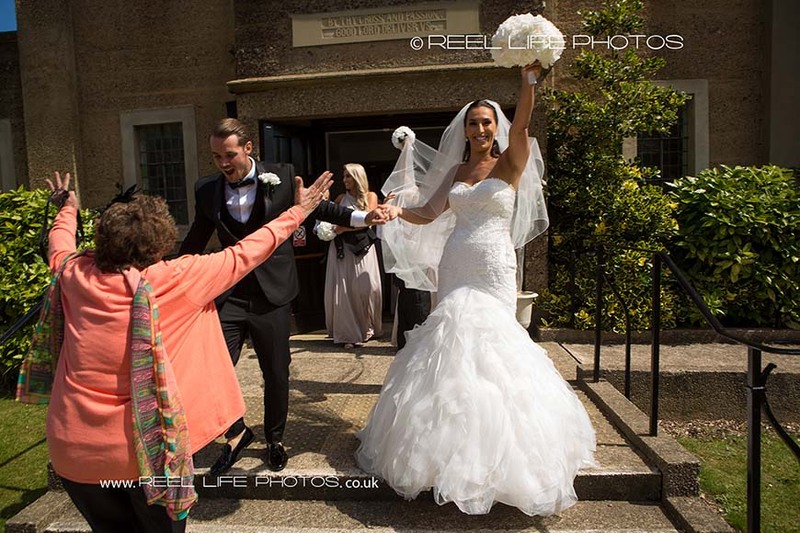 Video and Photography from Reel Life Photos international wedding photographers.